This dynamic conference will host speakers from around the country who will challenge and inspire attendees at the Springfield Hilton. 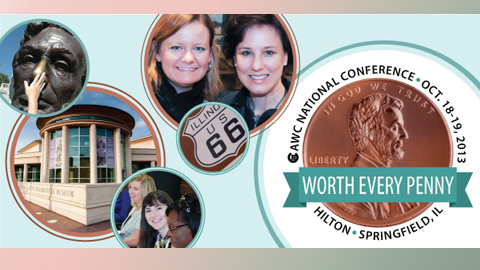 “Worth Every Penny” will show attendees that professional development, keeping up with changes and networking with peers is worth the time, effort and investment…in short, worth every penny. The AWC Springfield Chapter is hosting this premier professional event for the communications industry and it is open to all communicator specialists. Be ready for a weekend of professional development, networking and fun. This entry was posted in News Articles on July 14, 2013 by Lisa.